Lose weight by sipping this drink late! Make a Fat Burning Before Sleep Drink every night to shred those pounds! 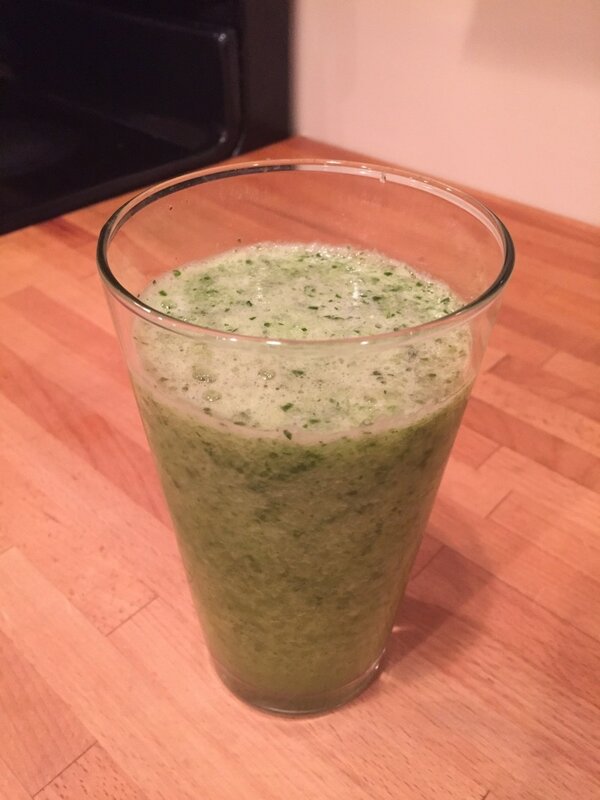 A fat burning, great tasting, and easy to make drink... Sounds too good to be true right? Try it for yourself, but for this to work... You'll have to skip the wine. *Use a 1/4 handful of Cilantro unless you have really big hands. In that case, you might want to just add a pinch.